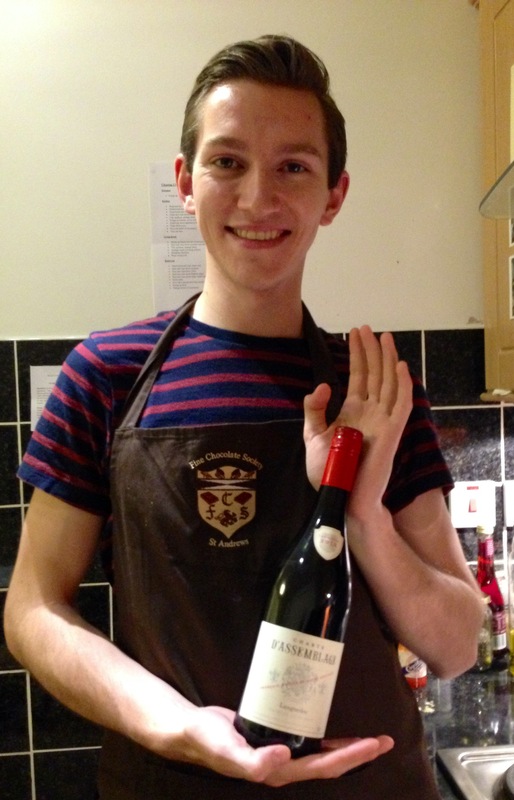 This was the main course at the French feast during the Weekend of Food. Read more about our adventures here. The duck. The duck. What can I say about the duck? No words could do it justice. It was… well just look at it. 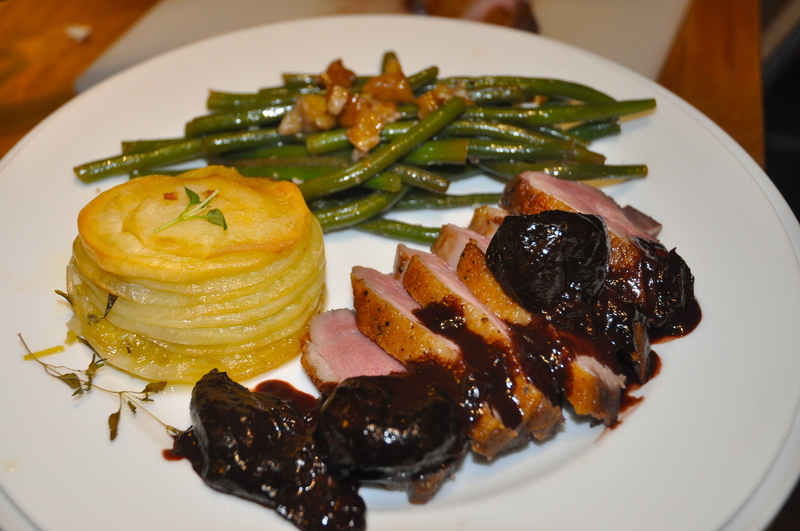 It was juicy, it was crisp, it was smothered in sauce, it was the perfect combination with crispy Pommes Anna and green beans in walnut oil. It was divine. It was delectable. It was perfectly pink on the inside. It was… just read the recipe. We made the sauce a day in advance to allow for infusion, and we also salted the duck breasts overnight to allow for maximum seasoning and crispiness. Serves 7 people. Inspired by Rick Stein, original recipe here. Season the duck breasts with a good coating of salt (ideally sel gris) and a little bit of black pepper. Leave them skin-side up and uncovered in the fridge so the skin can dry out. 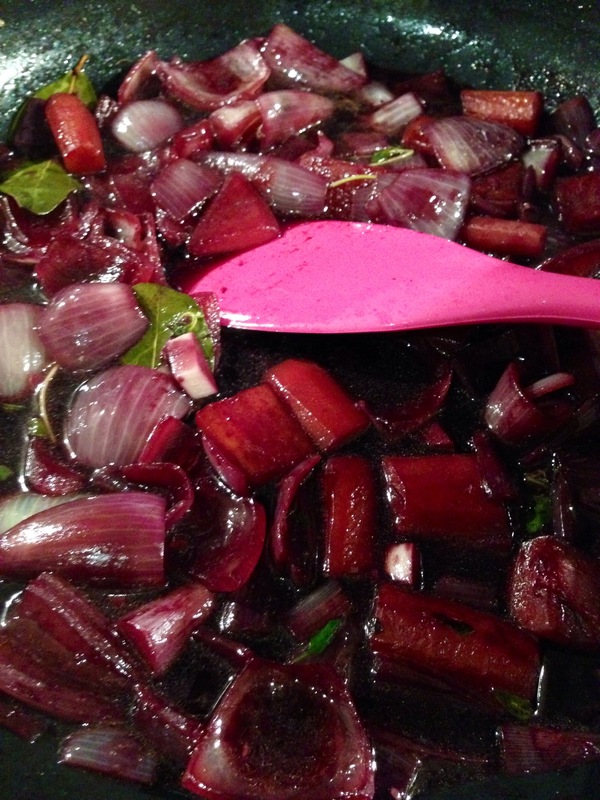 Make the sauce: Melt some duck fat or butter in a large frying pan and add the carrots, onion, shallots and garlic. Fry over medium heat for 15-20 minutes, until they are soft and golden brown. 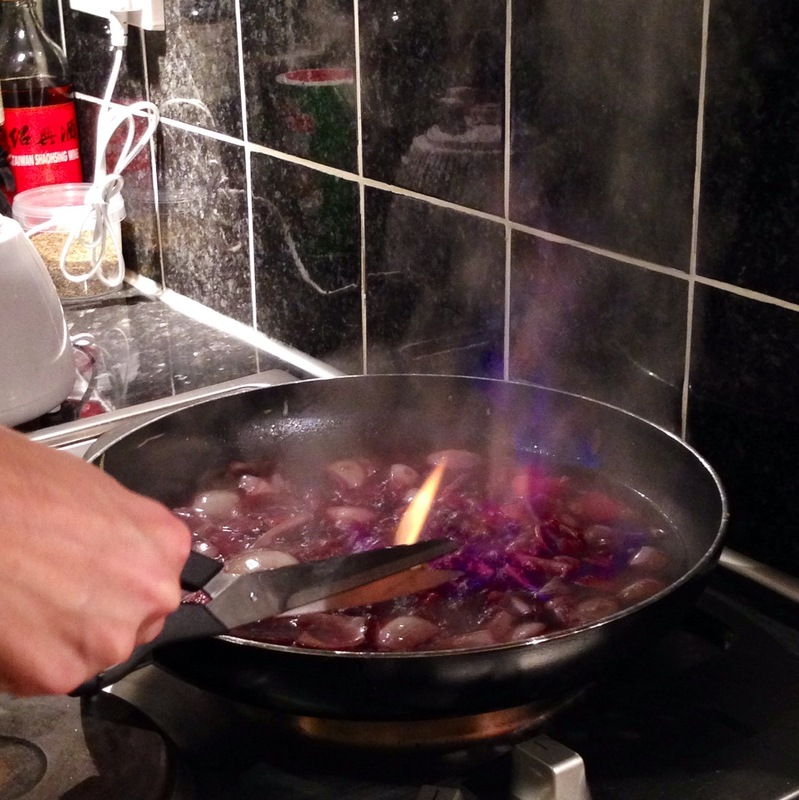 Add the wine, bring to a rapid boil, and then (this is the fun, yet slightly dangerous part) light with a match to burn off the alcohol. Then lower the heat, add the cloves, thyme and bay leaves, and leave the sauce to simmer for 20-30 minutes. Then, let it cool down, pour into a Tupperware and keep in the fridge overnight so it can get all yummy. Take the duck breasts out of the fridge and cut off the excess fat from the sides. This ensures that all of the fat and skin will touch the pan and thus crisp evenly. As you see in the picture below, the fat should not overlap the side of the meat. 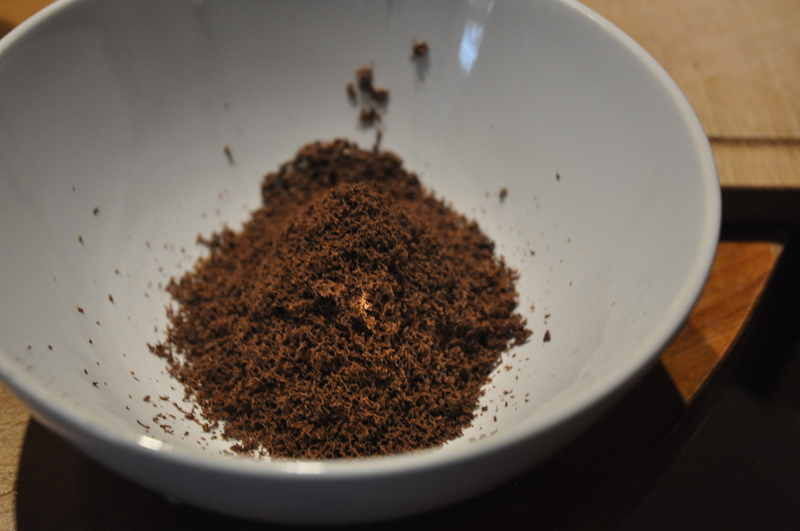 Then salt again, this time with table salt, and rub it all in. Heat a large, heavy frying pan over medium heat. 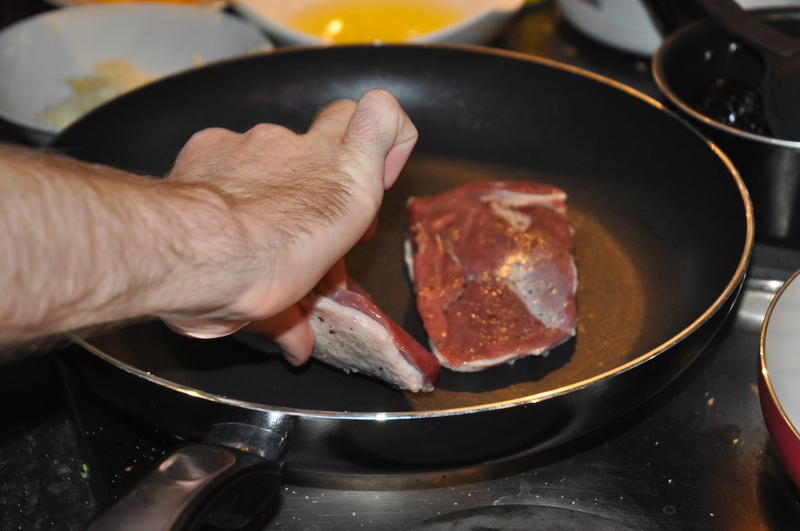 Without using any oil or butter, place the duck breasts skin-side down in the pan and lower the heat slightly. Fry for 10-15 minutes until the skin is golden and crispy and then brown them on the other side for 2 minutes. Set aside. Cover a baking tin with foil, put the duck on it and place in the pre-heated oven for 5-10 minutes, this means they will turn out medium-rare. If you prefer your meat more cooked through, leave in the oven for 5 minutes longer. Put the sauce back in the pan and bring to a simmer. Add the grated chocolate and let simmer for 2-3 minutes. 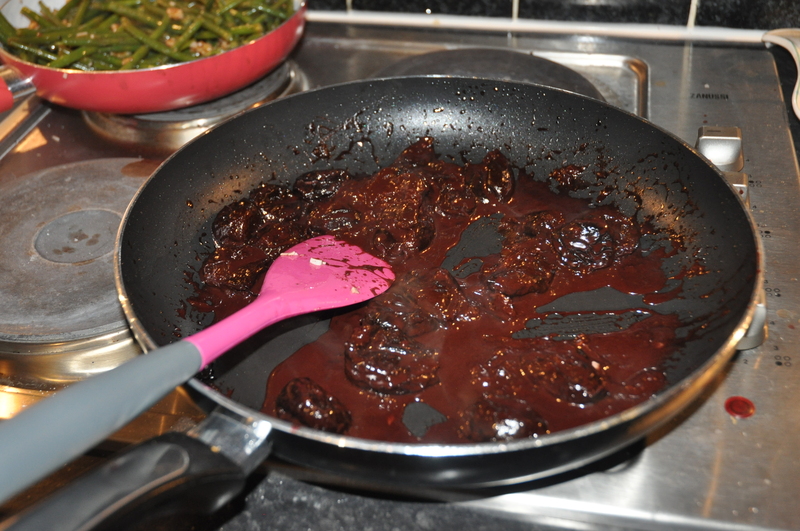 Pass the sauce through a fine sieve, pour it back into the pan and add the drained prunes. Simmer until the prunes are hot, and season the sauce with salt and pepper to taste (we actually had to add more wine at the end as the prunes were sucking up all the juice). 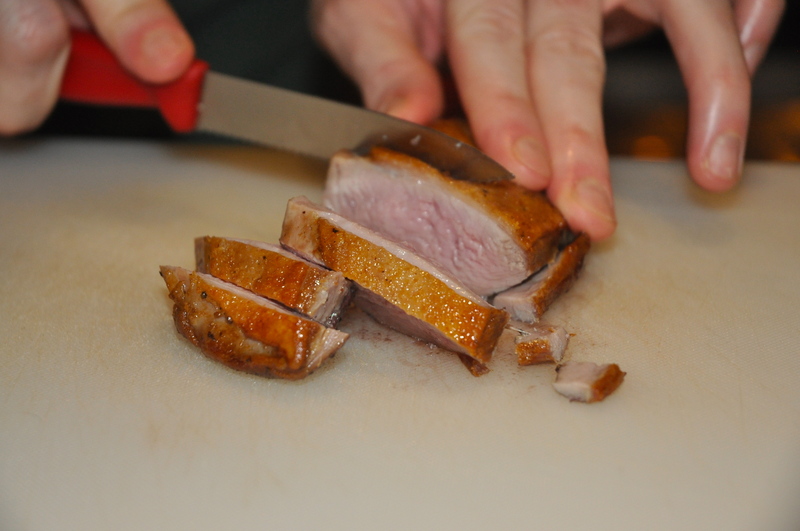 To serve, lift the duck breasts onto a board and cut, on the diagonal, into long thin slices. Put 4-5 of these slices on a plate along with the sauce and 1-2 of the prunes. Serve with Pommes Anna and green beans with toasted walnuts (recipes for those can be found here). I want to go back and eat it all again!